Spc. Joseph B. Cemper, 21, of Warrensburg, will be laid to rest in Omaha, Neb., where he is from. Cemper is a graduate of Warrensburg High School, where he was a wrestler. He was killed at Forward Operating Base Gamberi, Nangarhar province, Afghanistan, of wounds suffered when an Afghan National Army soldier attacked him and four other soldiers with multiple grenades. 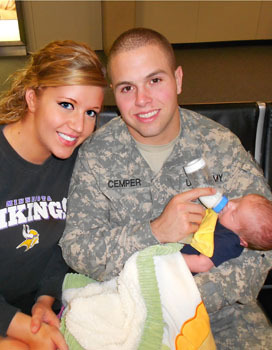 Cemper leaves behind a girlfriend and infant, who was born March 15. He left for Afghanistan shortly after the child’s birth.